Why are we all feeding our dogs processed foods? Are You Ready To Take The 20 For 20 Challenge? Exchanging Processed Food For Real Food. Staggering, if true, experts say that 96% of dog owners feed nothing but processed foods to their pets. That’s almost everybody. Today, more and more dog owners, and some veterinarians are looking to change this statistic. 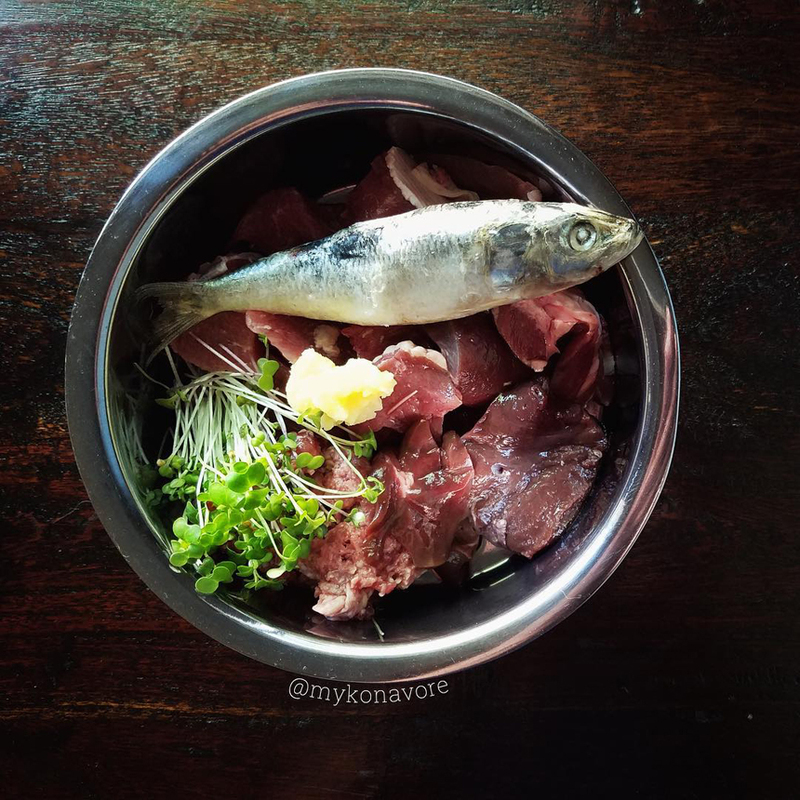 A lot of people don’t trust themselves to take on the responsibility of making sure their dogs get the right nutrients in a whole or raw food diet, and most veterinarians still discourage the idea, but people are waking up. There is a ton of information out there for people who are new to it. After all, we wouldn’t feed ourselves, or our children 100% processed foods! Why are we doing this to our fur babies? Convincing dog owners that they can do it, or that they should try it can be an uphill battle. First, Remove 20% of your dog’s processed food. Then Replace it with 20% fresh food, like meat, non-starchy vegetables and eggs. If you are joining the 20 for 20 challenge on Facebook, My Konavore encourages you to tag 3 friends and invite them to try it too. Share a picture-post on your page of your pet’s food bowl. This is something relatively easy that we all can do today to make our pets healthier and spread the word. 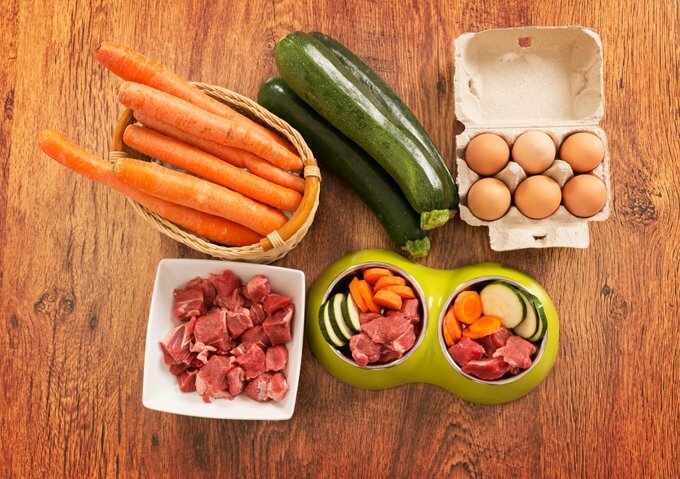 It’s easy to add a raw egg or some chopped up green beans or broccoli to our dog’s bowl and it will add mountains of nutrients to their processed (cereal based) kibble diet. Let us know if you try the 20 for 20 challenge and how it goes for you.